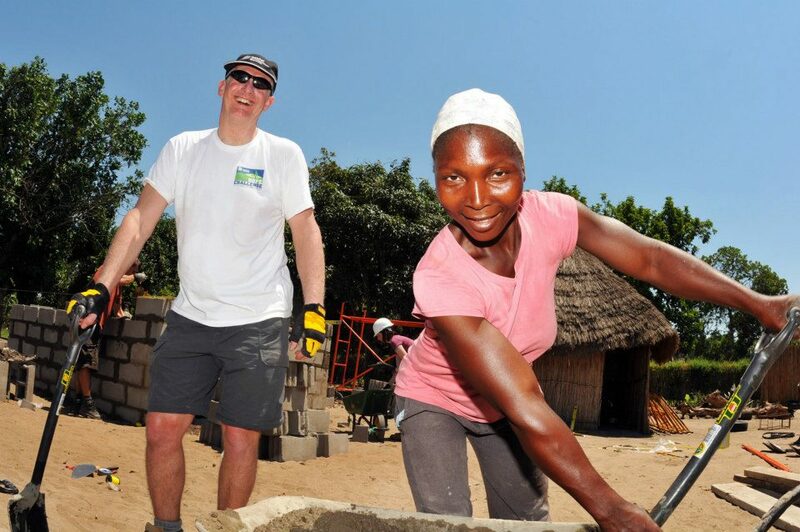 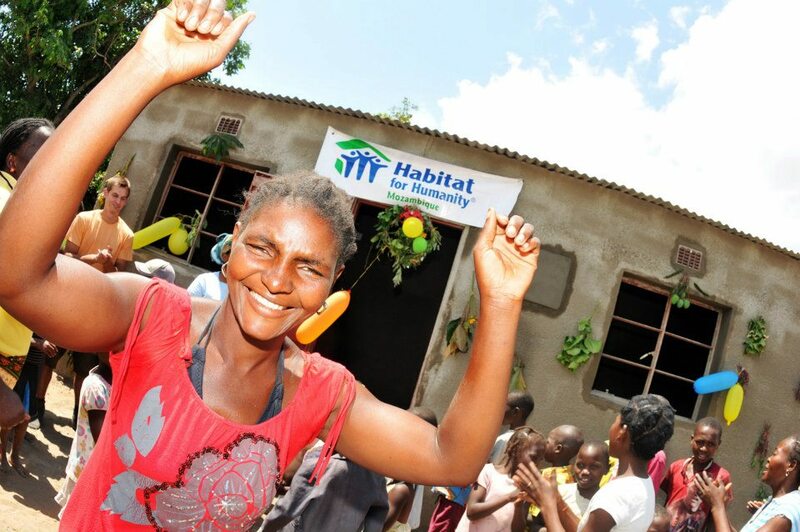 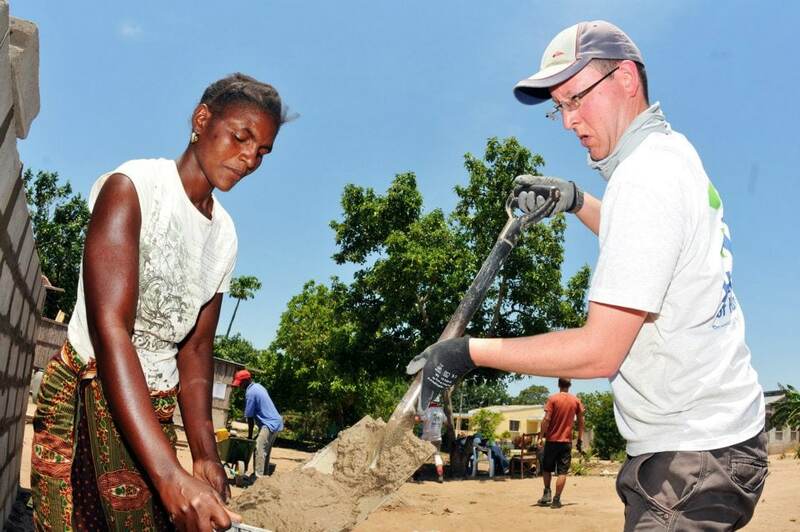 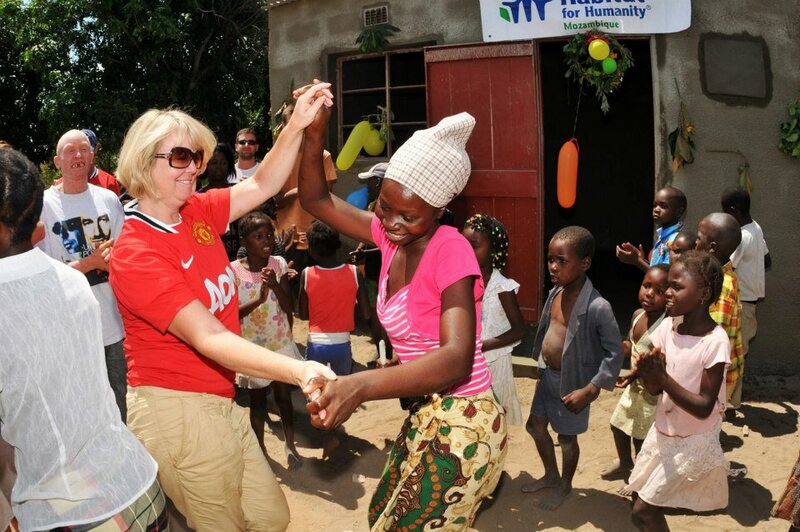 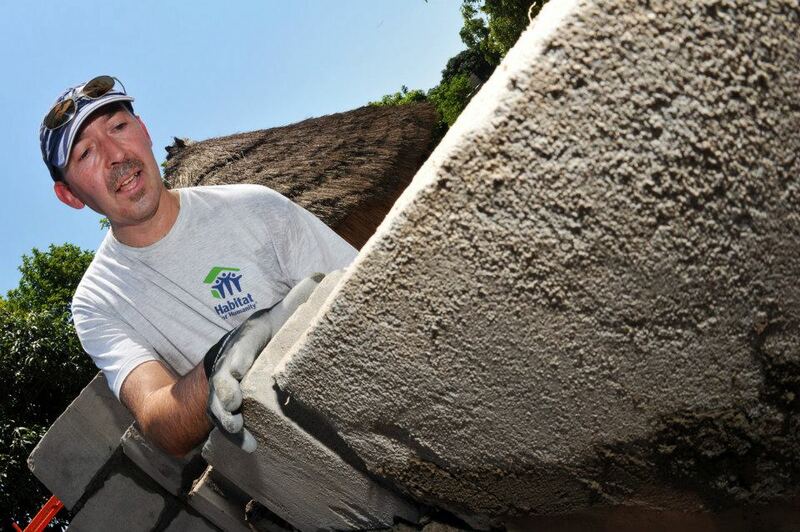 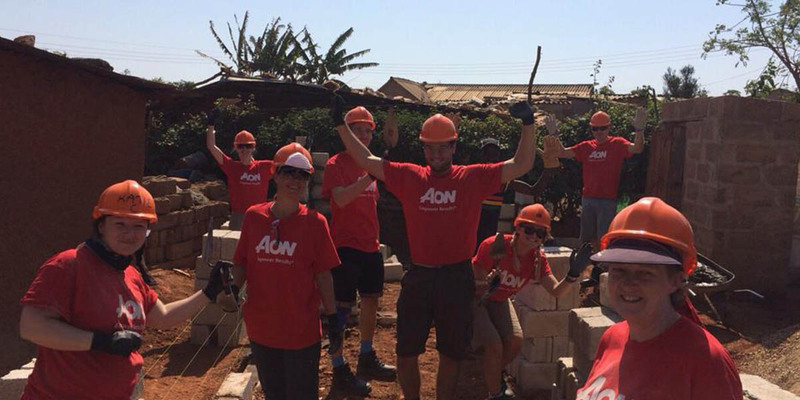 We began partnering with Aon in 2012 when they sent their first team of volunteers to build homes in Mozambique. 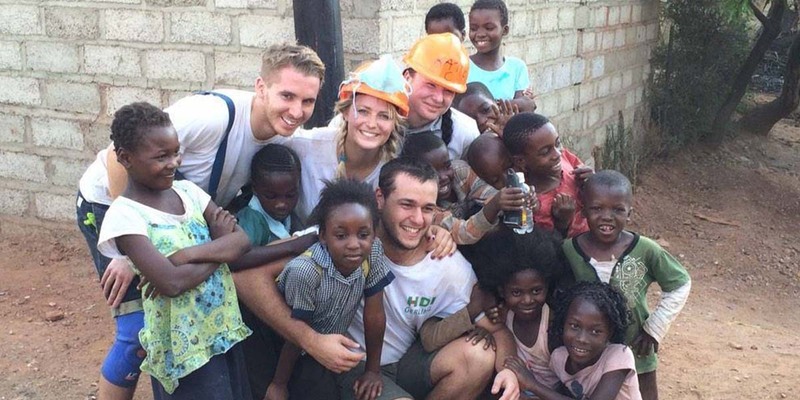 Since then, they have sent additional teams to Zambia, Cambodia, and Guatemala. 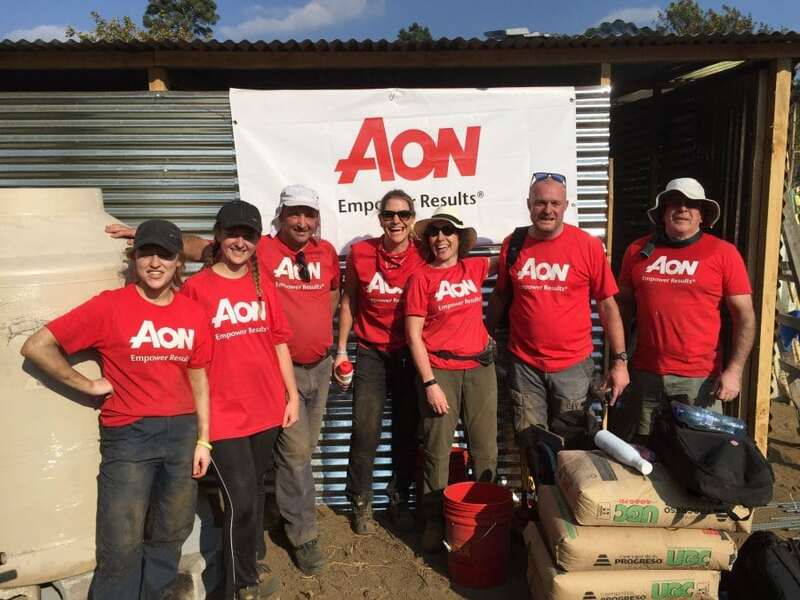 AON are dedicated supporters of Habitat for Humanity’s Global Village programme. 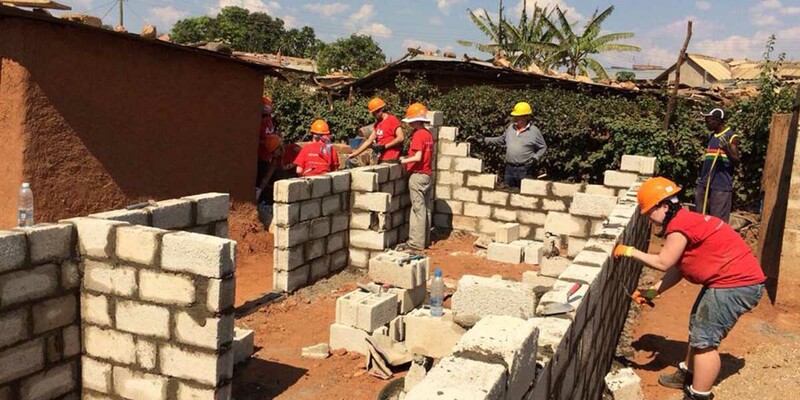 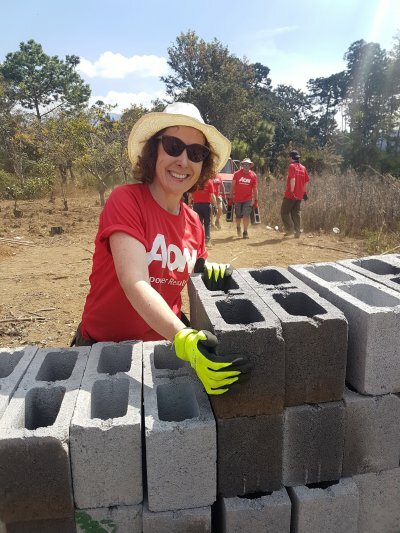 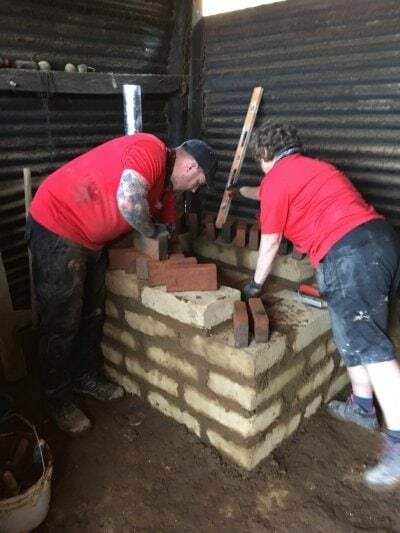 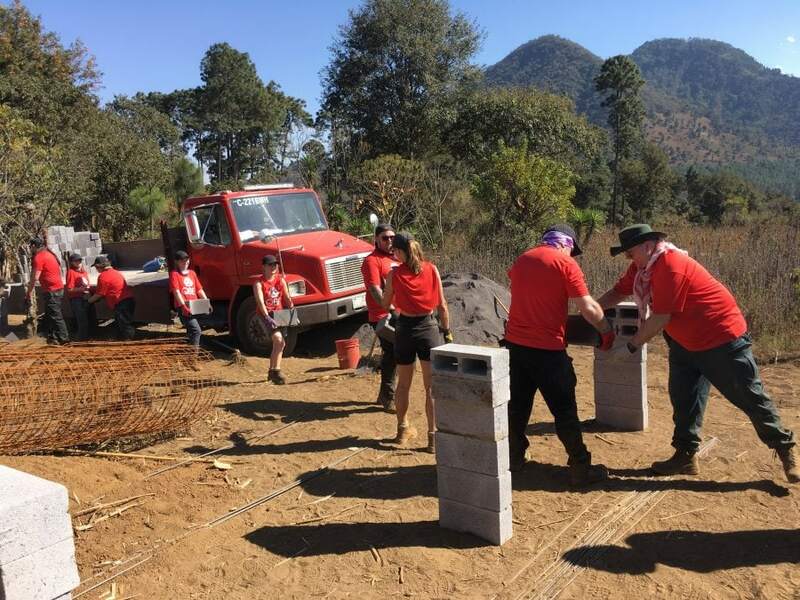 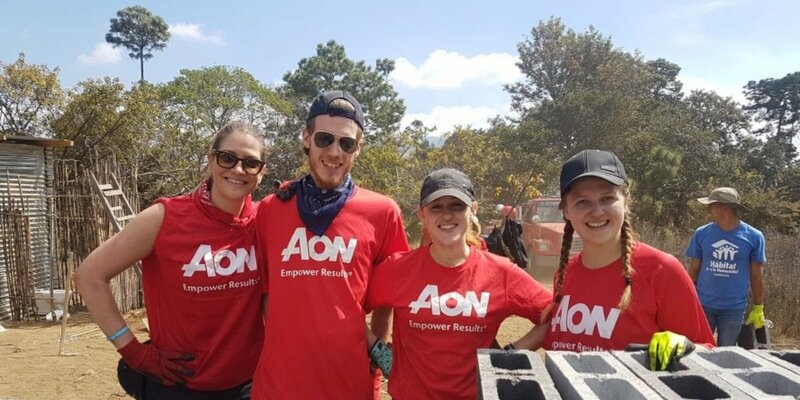 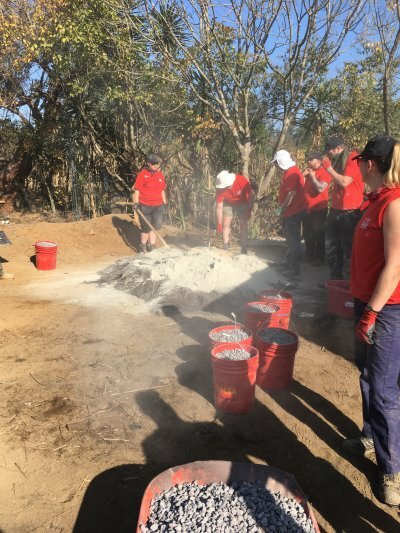 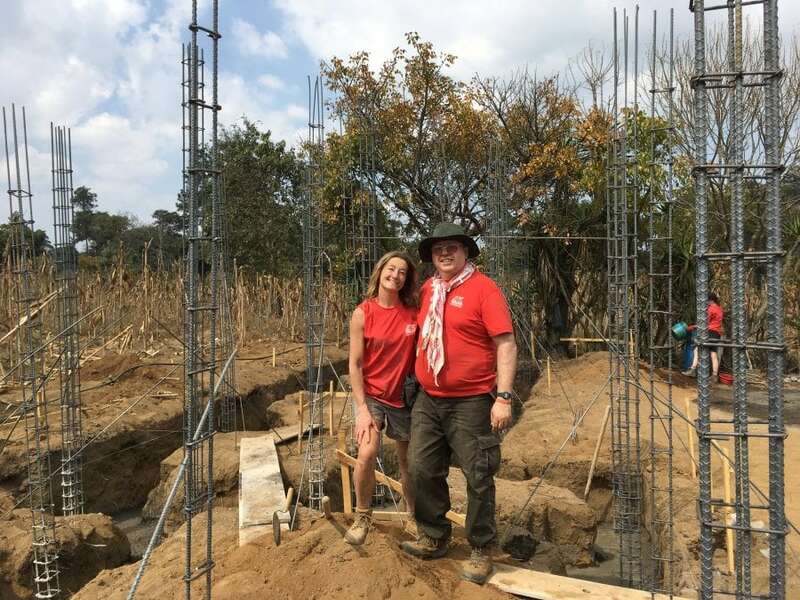 Over the last 6 years over 80 AON employees’ have travelled to Mozambique, Zambia, Cambodia and they have recently returned from Guatemala where they have helped to build homes and smokeless stoves for those living in the poorest communities. 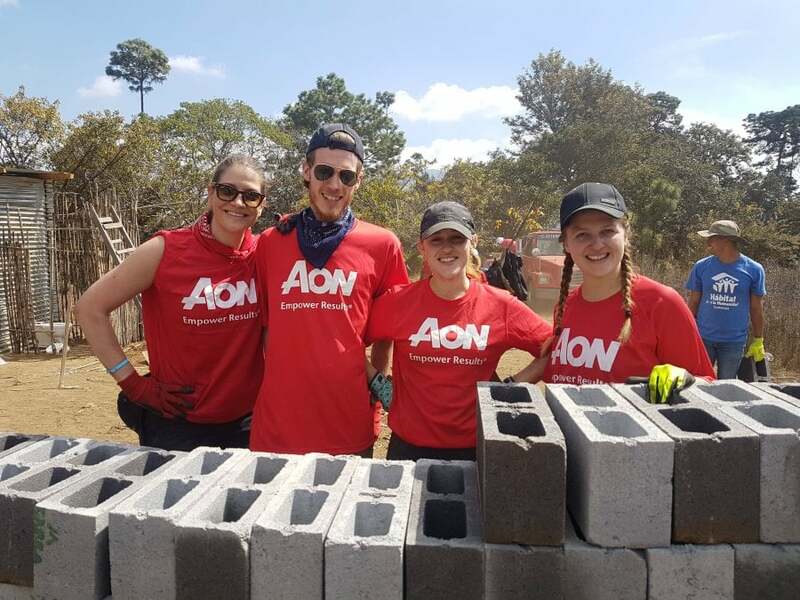 AON began their relationship with Habitat for Humanity in 2012 when their first team of 13 took part in a trip to Mozambique, building two homes during their stay. 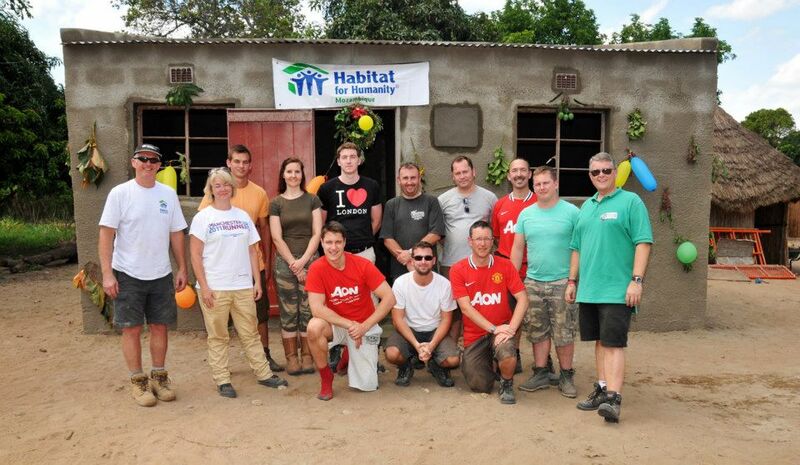 This was followed by a team of 19 employees flying out to Lusaka, Zambia in October 2014. 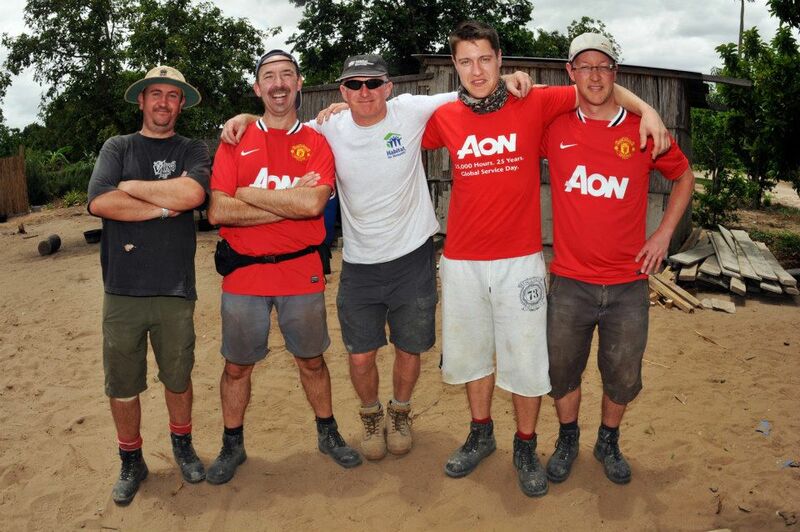 During this trip the team managed to work on three homes with two of the three completed in the 5 days. 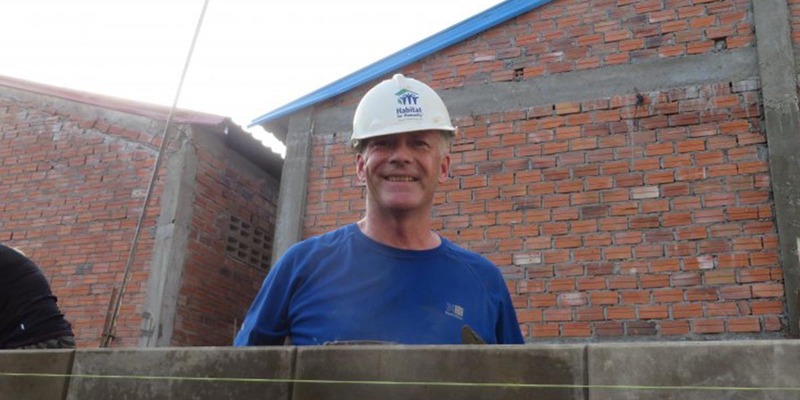 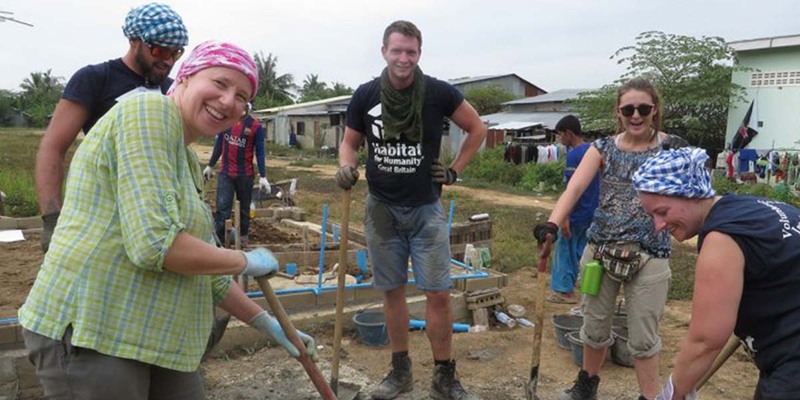 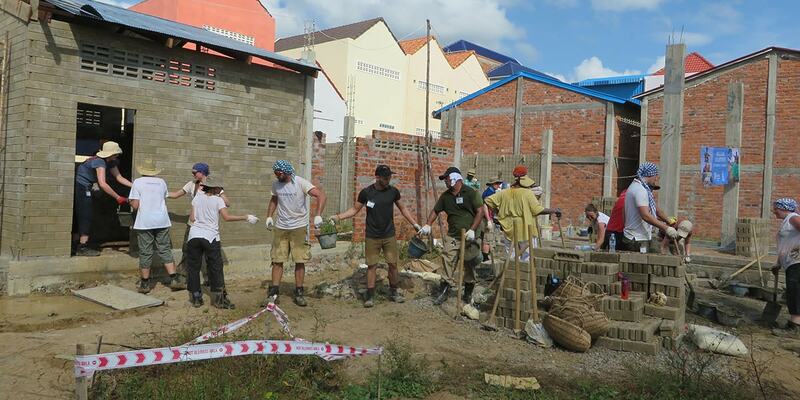 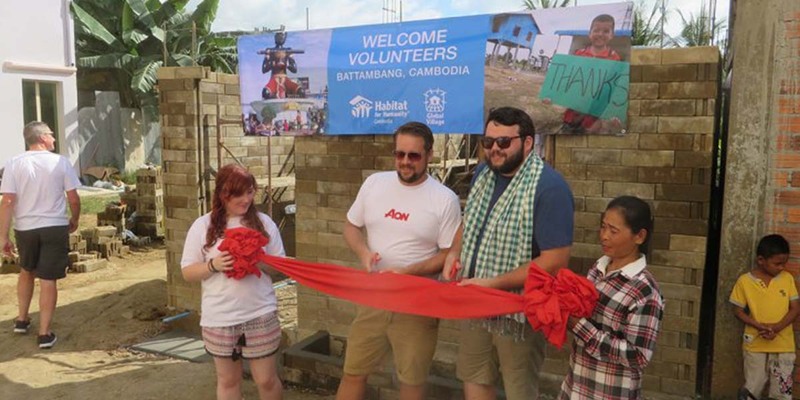 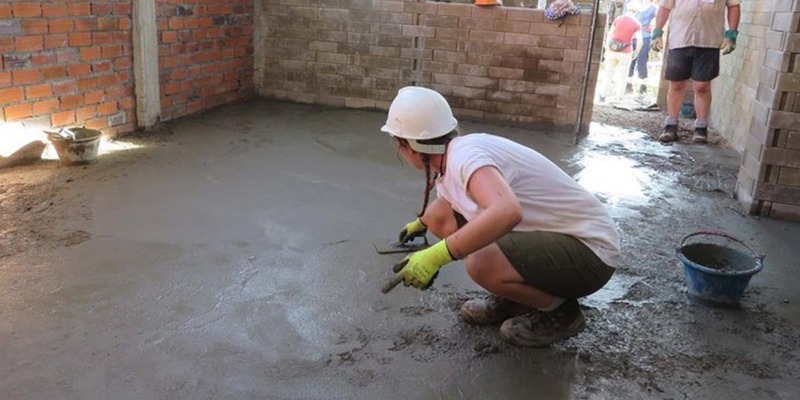 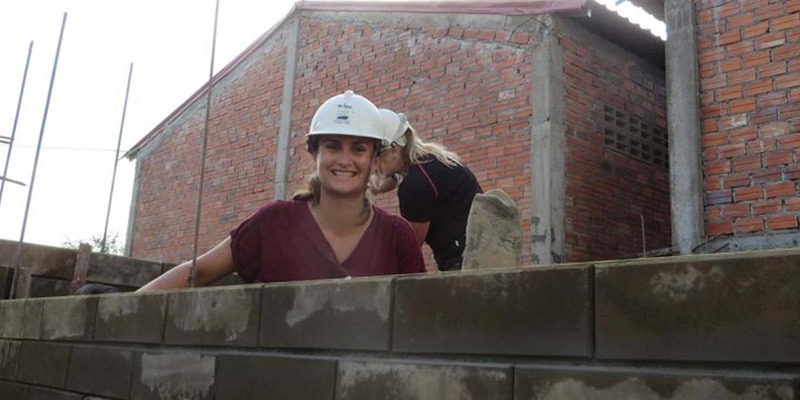 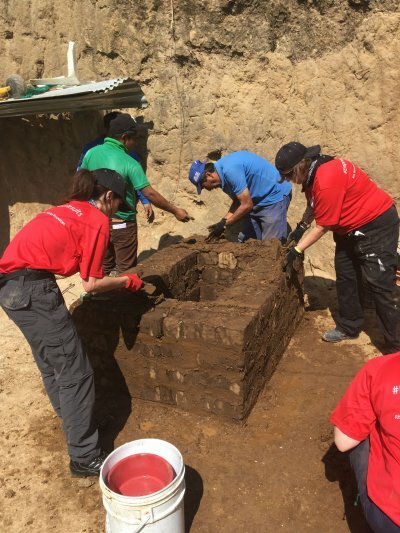 Motivated by the the previous teams feedback, more employees leapt at the chance to help to build more homes and a team of 33 were chosen to take part in Aon’s third trip to Battambang, Cambodia in November 2016. 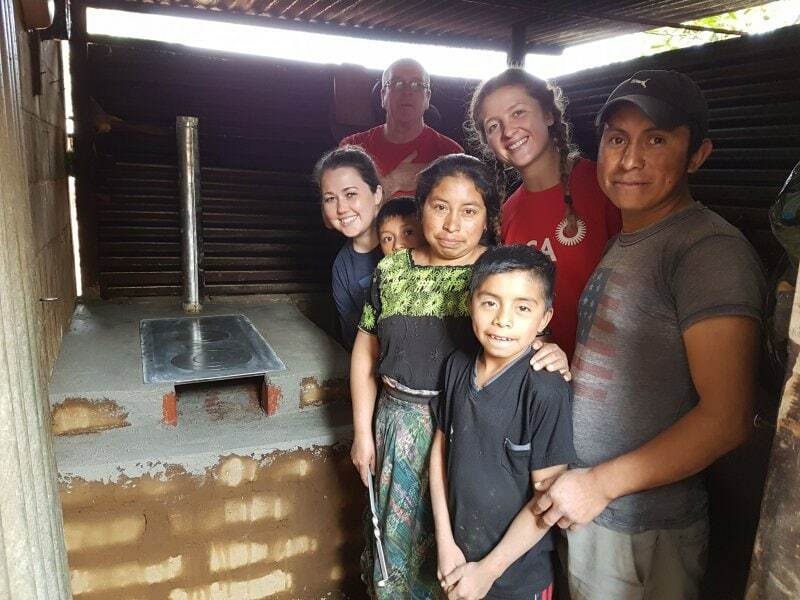 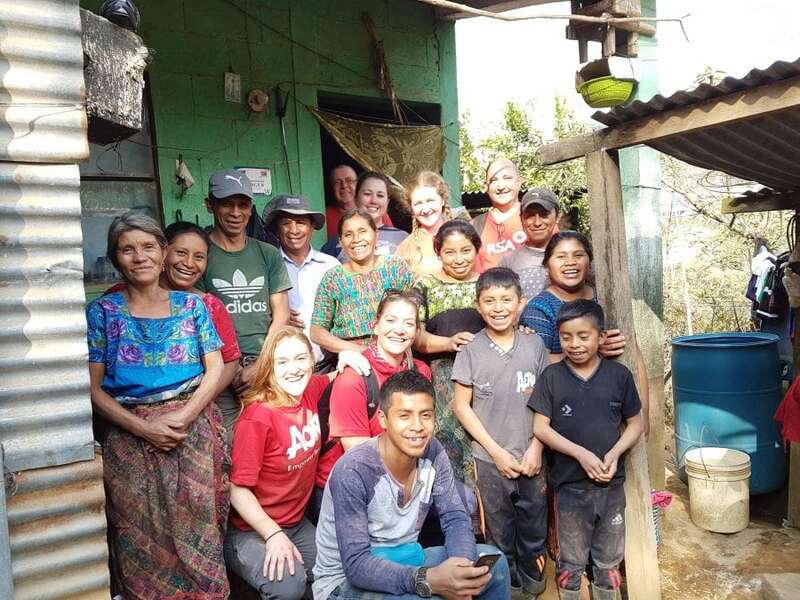 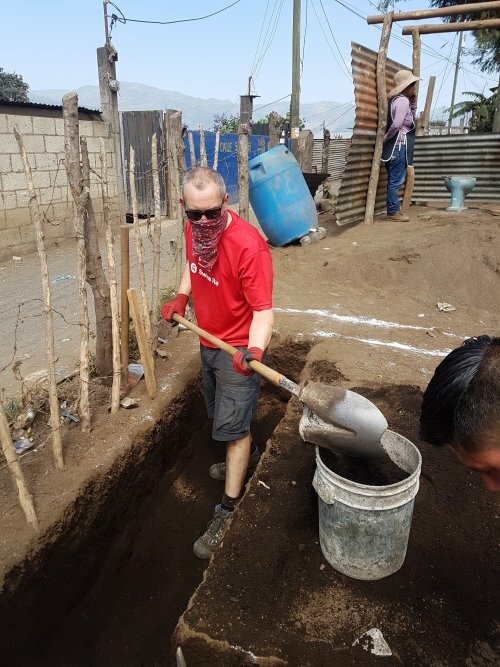 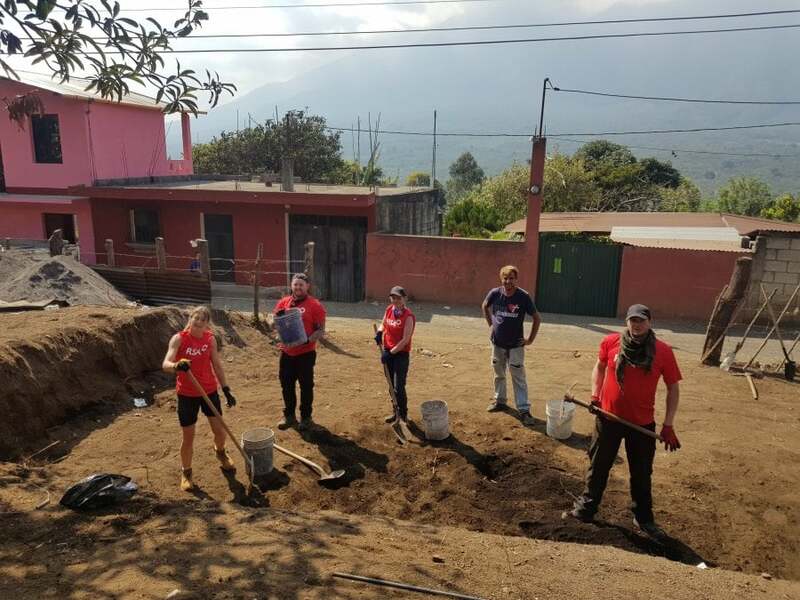 This enthusiasm and passion to help provide others with a safe and secure home continued this year when 22 employees travelled to Guatemala to help with the building of two homes and completion of 26 smokeless stoves. 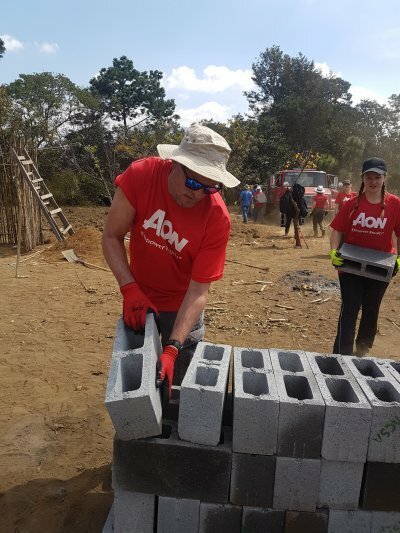 For each trip AON employees take part in a variety of fundraising activities. 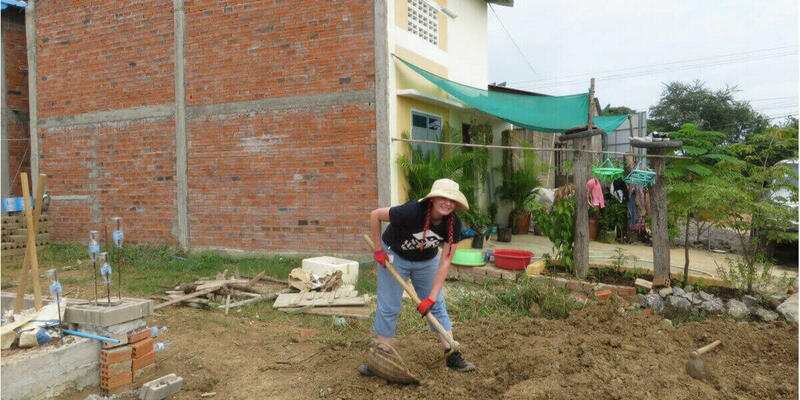 This has ranged from pushing themselves to run a half marathon, to balloon modelling at children’s parties, and baking cakes to sell in the office. 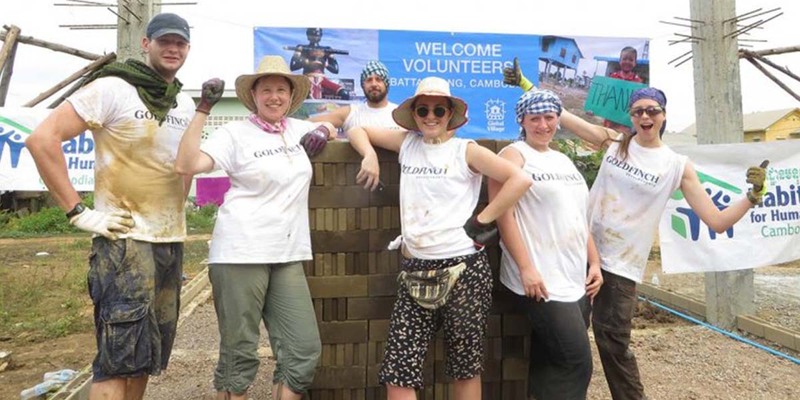 Whilst they have individual targets to raise, they work as a team to ensure that the maximum funds are raised and to support Habitat for Humanity’s vision of a world where everyone has a safe and decent place to live. 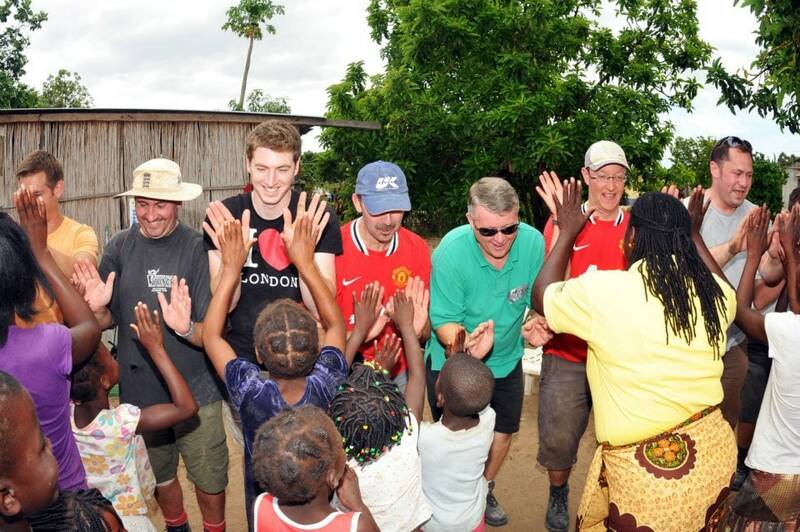 Quite simply one of the most rewarding things I have ever done! 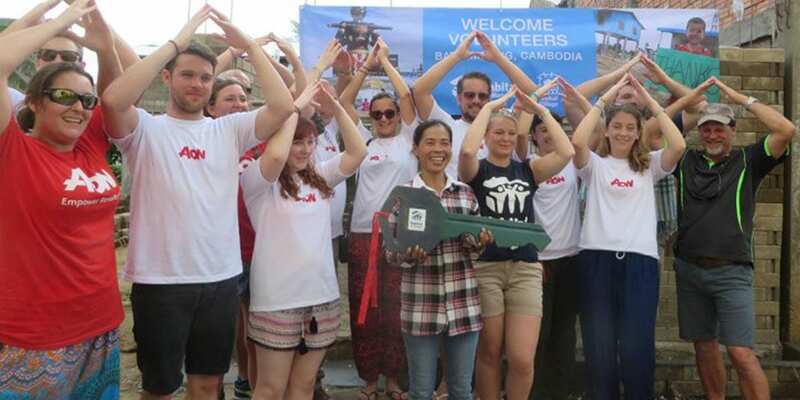 And rewarding on a number of different levels - the obvious is seeing the difference that the efforts of the group made to the lives of a surprisingly large group of individuals and their, quite often, emotional response. 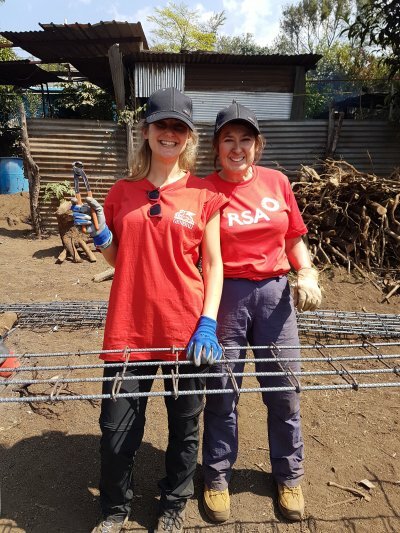 From a corporate perspective I have made connections across the organisation that I would never would have without this initiative. 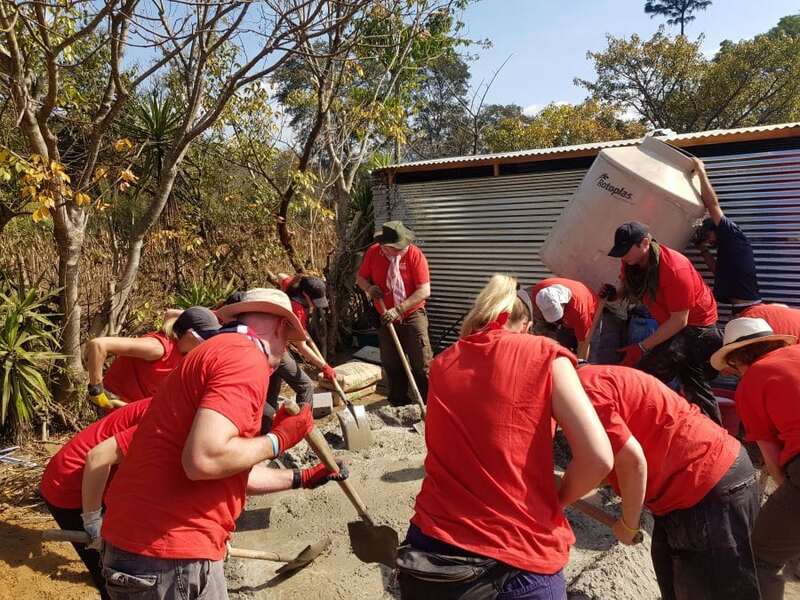 Those connections are already helping me to achieve more and I have also been able to assist others.At a personal level I have shared this fantastic experience with a group of people that I’m proud to call my friends and even prouder that we consider ourselves family.